Welcome to my magical candle studio! 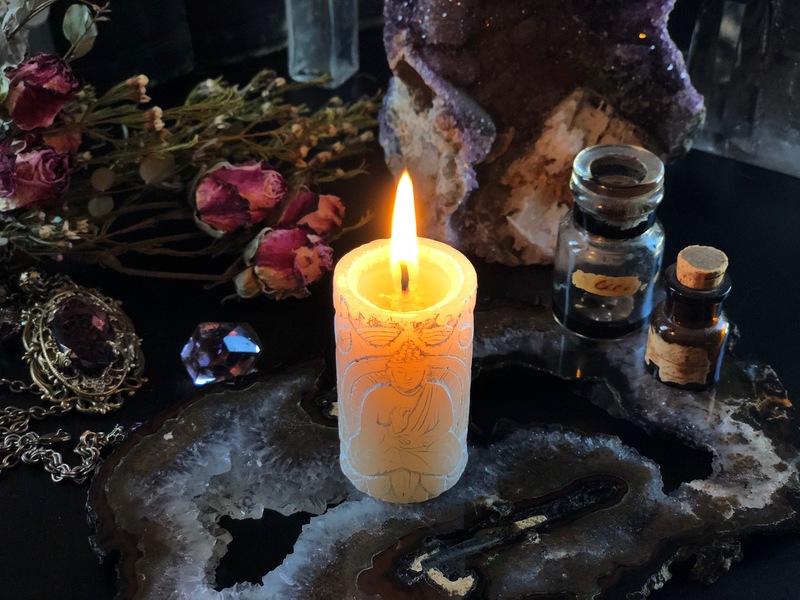 Lovingly handcrafted and loaded with magical intent, my originally designed Alchemy Candles are carefully formulated to enhance your spiritual workings. Each unique and exclusive creation begins with a specific intent, then is magically created with blessed herbs & flowers, natural resins & energy crystals. Each candle then transforms into a truly authentic aromatic magical masterpiece immersed in the spirit and tradition of old world and old ways magic. Perfect for spell casting and ritual use, each candle is witch blessed and charged during the appropriate moon phase to enhance and bring your magical workings to reality.